Based from our Erskine Park Brach you will be responsible for the safe and efficient removal and transportation of waste whilst providing exceptional customer service at all times. **About Coates Hire:**Coates Hire is Australia's largest equipment hire company with over 130 years of experience in industry, supplying to a wide variety of markets including Engineering and Building Construction & Maintenance, Mining & Resources, Manufacturing, Government, and Events. **Applications:**To pursue this challenging opportunity, please click the 'Apply' button. 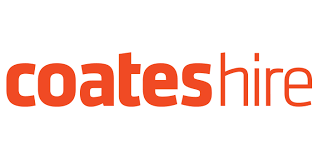 \*\*About Coates Hire:\*\*Coates Hire is Australia&#39;s largest equipment hire company with over 130 years of experience in industry, supplying to a wide variety of markets including Engineering and Building Construction &amp; Maintenance, Mining &amp; Resources, Manufacturing, Government, and Events. \*\*Applications:\*\*To pursue this challenging opportunity, please click the &#39;Apply&#39; button.